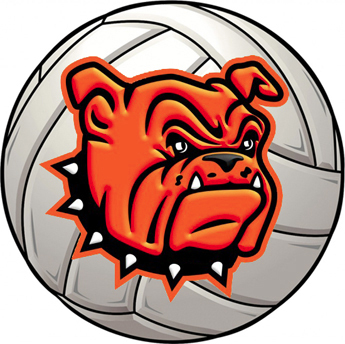 The scores may have been a bit closer this time around, but the Bulldog volleyball team got the job done Tuesday on the road against Clovis, sweeping the Wildcats in three: 25-20, 25-20, 25-19. Competing against the Class 5A girls in purple for the second time in two weeks – having also topped them in three Aug. 30 at Bulldog Pit – the ‘Dogs got off to a solid start in the match but skidded a bit before Game One’s end. That seemed to set the tone for the remainder of the match, as the Bulldogs were able to get ahead and stay there, but not without significant challenges from the ‘Cats. “We never got a real big lead,” Williams said. “We spent a lot of time trading points, but we were just able to pull away from them. We got the win, and that’s the big thing, but I feel like we’ve got to continue to push our leads instead of just being satisfied with having the lead, then trading points. On the match, Artesia saw eight kills apiece from Malori McSpadden and Dezaray Boyce, along with seven digs by Kyrah Gonzales and 18 assists from Kersie Beltran. The team also combined for 13 aces. “We’re still serving well, and our passing isn’t that bad,” said Williams. “One thing we need to work on is, when the first ball isn’t a good ball, we have to be better with the second and third, improve our situation as the rally goes on instead of taking that bad first ball and making things worse. The Bulldogs will now prepare to take on another opponent they just recently saw in Roswell High, which Artesia edged in three last weekend during the Sweet 16 tournament in Las Cruces. The Coyotes will be coming off a 3-1 loss to Goddard Tuesday. The match is scheduled to begin at 6:30 p.m. at Bulldog Pit, and the team hopes to see a large Homecoming Week crowd on hand to cheer them on.